While the comments by Inventec President David Ho were not specifically about Apple, they did fuel speculation that his comments could be regarding a future update to the HomePod with Face ID technology. The speculation was highlighted by Nikkei. "We see trends that engineers are designing smart speakers that will not only come with voice recognition but also incorporate features such as facial and image recognition," Ho said. "Such AI-related features are set to make people's lives more convenient and to make the product easier to use." If a HomePod with Face ID is in fact in the works, it's unlikely to arrive anytime soon. Apple hasn't even released the first hardware yet —it's scheduled to arrive in December. 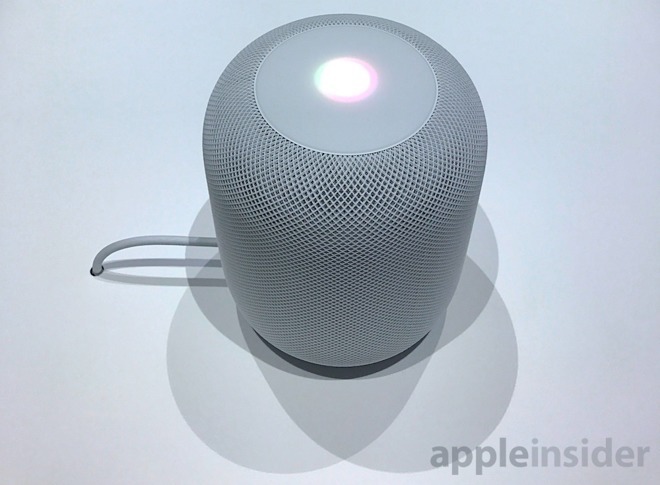 The HomePod hardware was unveiled at Apple's annual Worldwide Developers Conference in June. It will be priced at $349.